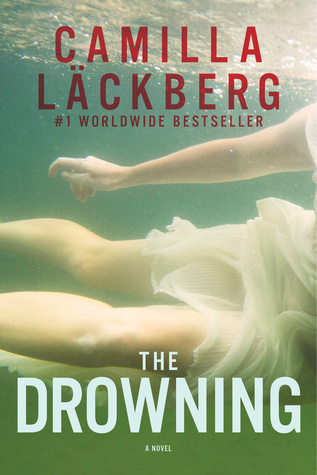 I don’t know, maybe my experience with Camilla Läckberg was tainted by the fact that I came in very late on the Patrik Hedstöm series. But I find the generous dose of soap opera to be a bad distraction from the mystery. We have an author, Christian Thydell whose latest book, The Mermaid, has become a runaway best seller. But now someone is sending him treating letters. His friend Magnus goes missing. Thydell was friends with Patriks wife Erik, a fellow author. Patrik begins looking into the disappearance, but he is hampered by the victims themselves concealing evidence. As always there is an underlying history story interspaced with the mystery. But it is the endless social drama that I just cannot make myself wade through. I never made it beyond about seventy-five pages. I did try at least three times, I’m sorry I just don’t feel the book. I cannot give any more insight, but the story seemed to be in flux with no sign of condensing into a solid mystery. I read another reader’s review, and according to them, at 150 pages the story is still in flux. I agree that that is way too much. By then, the story should be starting mid game anyway.